Home Rule for Scotland WHY NOTHOME RULE for ENGLAND? ****A DISUNITED KINGDOM****NEW LABOUR HAS DESTROYED THE UNION- SO USE THE WORDS ENGLAND AND ENGLISH-NOT BRITISH****BOTH SIDES OF THE BORDER BACK SCOTS INDEPENDENCE****NEW LABOUR'S LEGACY-THE GHETTOSIZATION OF ENGLAND****UNLESS WE TAKE CONTROL OF OUR LIVES WE WILL LOSE OUR FREEDOM AND IDENTITY****OUR PAST IS EMBEDDED IN OUR NATIONAL CONSCIOUSNESS -IT ASKS WHERE WE CAME FROM AND WHO WE ARE . ****.THE ENGLISH WITH OTHER GERMANIC TRIBES CAME TO BRITAIN OVER YEARS AGO - THE STREAM OF TEUTONIIC INFLUENCE HAS DECIDED THE FUTURE OF EUROPE****THE SOUL OF ENGLAND PT 1/ **** THE SOUL OF ENGLAND PT 2/ **** WHY ARE WE ENGLISH MADE TO FEEL GUILTY/**** DON'T LET THEM DESTROY OUR IDENTITY/ **** NOR SHALL MY SWORD/**** WHY CAN'T WE HAVE A RIGHT TO BE ENGLISH-PT1-/ **** WHY CAN'T WE HAVE A RIGHT TO BE ENGLISH-PT2/**** ENGLAND IS WHERE THE MAJORITY VIEWS ARE IGNORED AND MINORITIES RULE AT THEIR EXPENSE IN POLITICALLY -CORRECT BROWNDOM/**** ALFRED - CHRISTIAN KING OF THE ENGLISH-PT1- /**** ALFRED - CHRISTIAN KING OF THE ENGLISH-PT2/**** ENGLISHMEN AS OTHERS SEE US BEYOND OUR ONCE OAK WALL./**** ENGLAND ARISE! - TODAY WE CLAIM OUR RIGHT OF SELF-DETERMINATION/ **** KISS GOOD BYE TO YOUR SOVEREIGNTY AND COUNTRY /**** THE DAY A NATION STATE WAS DOOMED? **** ST GEORGE'S DAY-ENGLAND'S DAY/****ST GEORGE'S DAY - 23APRIL - RAISE A FLAG ON SHAKESPEARE'S' BIRTHDAY**** EU WIPES ENGLAND OFF THE MAP**** AN OBITUARY TO YOUR COUNTRY WHICH NEED NOT HAVE HAPPENED**** THE ENGLISH DID NOT MOVE THEMSELVES SO ARE NOW SLAVES IN A CONCENTRATION CAMP EUROPE****"...What kind of people do they think we are?" by WINSTON CHURCHILL**** THE SPIRIT OF ENGLAND BY WINSTON CHURCHILL. WHY ARE WE ENGLISH MADE TO FEEL GUILTY ABOUT OUR IDENTITY? Over the past decade or so there has been a stark change in the way the majority of people in these islands see themselves. After all, thanks to the cynical devolution policies of our Scottish- dominated Government, the Kingdom is no longer United. ‘Great Britain’ is a geographical term rather than a political fact. And the English, more than five-sixths of the British people, have been bombarded with ostentatious displays of Scots nationalism and Welsh separation -both phenomena for which the English taxpayer is still having to shell out. Little wonder, with the Celtic fringe making it clear to the English that they would rather not be associated with us except financially, that we have reassessed our own identity. And little wonder that this should inspire Englishmen such as Tony Bennett, landlord of the Otter pub in Thorpe Marriott, Norfolk, to seek to celebrate St George’s Day this Saturday in a traditional English fashion: with longer drinking hours. Mr Bennett had already successfully obtained an extension to celebrate the Chinese New Year. And he has been assured that, had he applied for an extension to mark St Patrick’s Day, or The Hindu feast of Diwali, he would have been granted one. However, when he sought permission to allow English men and women to celebrate the feast of St. George, Norwich magistrates turned him down. 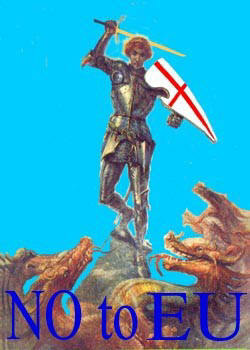 St George’s Day, Mr Bennett was informed by magistrate Roy Church, simply isn’t ‘special’ enough. As an Englishman, I greatly respect the culture and economic contribution that the Welsh, Scottish, Irish, and other minorities such as Asians have made to this country. But throughout the General Election campaign, several prominent politicians have, in search for votes, made the questionable assertion that a ‘diverse’ society-it is no longer politically-correct to talk of a ‘multi-cultural’ one - is better than a monocultural one. This is the prevailing mood among the small out- of- touch clique who rule our country, those who fawn on them, and those who take orders from them. The English, owning as they do the majority culture, are whipping boys for this obsession with diversity. You cannot, after all imagine a less diverse human being than the white, middle-aged male Mr Bennett, swathed in his St. George’s flag, and fulfilling one of the oldest and important functions known to English society: selling ale in his pub. It is all right to celebrate St Patrick’s Day, because the Irish are a historically oppressed minority. A faintly similar case, far more laughable can be made for the feasts of St. Andrew and St.David. And when it comes to celebrating the Chinese New Year, or Diwali, or Ramadan (unlikely, I know, but I include it for the sake of ‘diversity’), the English Establishment can find no objections at all. After all, these people are genuine ethnic minorities, the obvious victims of prejudice. English politicians and magistrates can thus demonstrate their post-imperial guilt by sanctioning whatever celebrations of such feast days may be required, and taking the much- needed opportunity for some self flagellation about being English into the bargain. Mr Bennett is fuming about this. He is not alone. I am fuming about it, too. And millions of other English men and women will rage at this latest insult to our people, our nation, our traditions, our culture, our way of life, our history, and above all, to our good sense. For we, being fair-minded, know we have as much right to our national and cultural identity as any Irishman, Scotsman. Welshman or Hindu does to his. After all, the reasons adduced by the liberal fascists for our need to feel guilty, and to keep quiet about our national identity, are thoroughly bogus. Our history is not one of oppression, nor of tyranny. Why uniquely among the Great European powers did England avoid revolution in the past 300 years? Was it not, quite simply, because the benign and honest nature of our Constitution and those who implemented it maintained the happiness of the English people? Did not Wales and Scotland benefit greatly from their association with England? Do they not benefit from it greatly still? And have we not gone far-some argue much to far-to try to put right the historic wrongs done in Ireland, wrongs that pale into insignificance compared with what other great powers used to inflict on their minorities? Why is it that nationalism, or the sense and idea of national identity, are entirely acceptable to the liberal fascists when expressed by an Irishman, a Scotsman, a Welshman or a Hindu, but are so unacceptable when expressed by the English? What have we done that is so evil we should hide our culture away? Our crime, quite simply, is to have been so large and so economically successful. The liberal fascists are embarrassed by our power. Who refuses to allow an English publican to serve his customers for an extra hour on the evening of St.George’s Day is either Stupid or has a political agenda of his own. 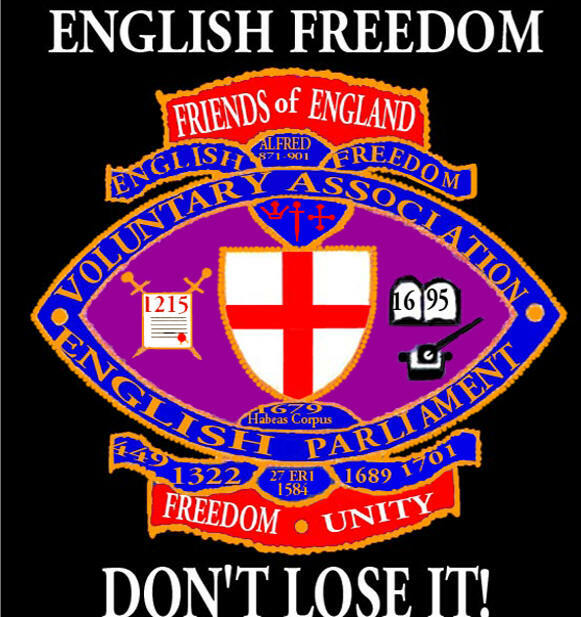 There is a feeling, handed down from the top of the most anti-English Government in our history, that you cannot celebrate Englishness and cannot institutionalise a celebration of Englishness such as the feast of St. George, without being ‘racist’ or ‘diversive’. culture and nationalism are something to be proud of: not merely for what they have given us as English people, but for what they have given the world. Either way, the Government’s purpose of creating a society in which minorities are lauded and the English majority are made to feel as bad about themselves as possible is furthered by their actions. To many publican Tony Bennett’s desire to allow his customers to have an hour’s more drinking on St. George’s Day is but a trivial matter. He, and I, would beg to disagree. Our national identity is something to which we have an absolute right to express. For an official of the state [we would say servant of the people] to say that England’s national day is not ‘special’, unlike other similar feasts celebrated by minorities, must be politically motivated as it is illogical. The Government should be warned. The people of England who are being bled white, ignored, exploited and misused by a state machine that clearly detests them, will not have their tempers improved by being treated like pariahs in this way. Never let it be forgotten that it is [New] Labour that let the genie of separate nationalisms out of the bottle in this country by encouraging devolution. We English now want the same rights to self-expression and independence as our fellow Britons. Our nationalism is utterly benign: however, if it is not shown the same respect accorded to others it may not remain so indefinitely. The Tories offer YOU £4 billion - UKIP can offer YOU £40-£100 billion a year-Why wait-Vote UKIP on May 5, 2005. In order to achieve this objective ALL Governments -Tory - Labour [New Labour] -with the help of LibDems have over the last three decades given away almost all our cherished liberties. The recent Terrorism Bill was passed because George Kennedy and 17 of his party decided not to turn up to vote to defend our Habeas Corpus of our Great Charter -the Magna Carta of 1215. New Labour have flooded the country with as many diverse nationalities in a drive to build up a multicultural society in order to weaken the English national identity in a land which does not appear as England on the EU Regional map of Europe. Many of our cities are suffering from ‘White-Flight’ with many indigenous people leaving the cities in the hands of the large immigration of many -over a million - who have no intention of assimilating into our community but instead are in the process of creating a State within a State. migrants to consider which would put the final figure possibly around - 750,000-could be higher-No one really knows? Might there be in the future a case for UDI- A Unilateral Demand for Independence by a major conurbation -such as Leicester or Bradford or a number of other cities who will be completely in the hands of those who consider they owe no allegiance to our country. Even today there are ‘No-Go areas’ in all but name where the police keep a very low profile and leave the communities to their own clan leaders. This could all have been avoided if only those peoples from the world who wished to assimilate into our community where accepted with tight control of numbers so that the new peoples are dispersed over the greater part of the country and not creating ghettoes. Unfortunately Tony Blair has in mind only the multiple family votes he will get from his fraudulent postal scheme. His chums in Birmingham and elsewhere have showed him the way. Many immigrants who arrived in our country over forty years ago from the Commonwealth are themselves concerned at the large influxes of the never ending deluge of new immigrants and asylum seekers joining them which is now putting a great strain on their limited resources in THEIR community. and there is no doubt there is plenty of material for them to inflame because of the illegal war in Iraq and the actions of politicians over the last three decades in not taking stronger action to control immigration and use more selective measures to ensure that only those who will join us and take a full part in our community were accepted. It has always been Tony Blair’s plan to encourage the break-up of the once United Kingdom into fragments which meant that poor old England being so large had to be divided up into convenient Regions. told Prescott and his cronies to get lost -they preferred their local accountability -Thank you! In order to ensure a trouble free progress into the EU Superstate it was vital for ALL Governments to encourage the politically-correct notions in order to neuter the English people - after all they are a kindly people who will stand anything rather than complain that they have been badly treated. Or is this now to end? So it has not been too difficult for New Labour to have almost completed our enslavement in the New European police state where the many will be at the bid and call of the privileged Elite who have immunity from arrest and so - so many special perks. 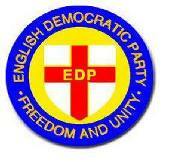 It is the inaction of the majority of the English people which has made it so easy for politicians of ALL parties to insult us and push us to the brink of Revolution but knowing that many have their eyes on the latest give-away rather than the future of our nation-state of England and it’s Ancient ‘Rights and Liberties’. As much as we loathe Tony Blair and his cronies and want to see the back of them the greater enemy is the large Pro-EU factions in all the parties who when the moment is right will sell us out to a European Super State. It may not be this year or next - but they will not give up. And by so doing you will not only send a message to the main parties that you are not happy with the treatment they have meted out to you but there will be a saving of £40-£100 billion a year [Not the measly £4billion from the Tories but the return of our Fishing Fields -No more expensive Common Agricultural Policy which will not only help us but the poor in the world and which will make ALL the other give-aways look poultry by comparison. Whatever bribes you may receive from the other main parties it will mean very little because you will soon have to pay more tax for poorer services and of course the EU dimension will expect to cobble up our £4 billion rebate and there is the increased yearly contribution to the corrupt and unaccountable police state the European Union - after all there are now 10 more open mouths to feed at the trough of plenty at Brussels - funded mainly by the English taxpayer. The time has come for the English people to march into battle to preserve their Country and Identity and there can be no excuse at all because the facts are now clearly visible and the time to make a stand is NOW - to be precise on May 5, 2005 - to give your answer to Tony Blair and all the other Pro-EU factions in the main parties who think you no longer have the bottle to do anything like fight for your Freedom and Identity.